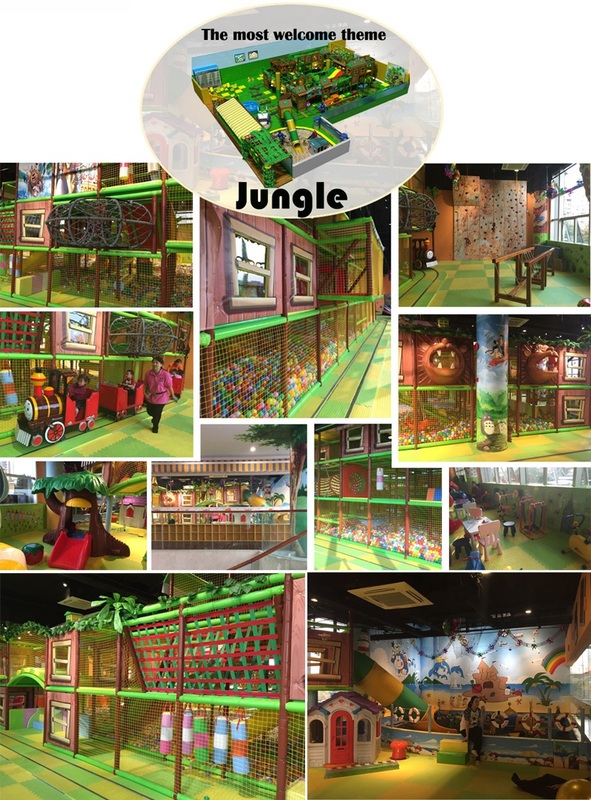 This jungle theme inside playground assemble in one of the commercial center. 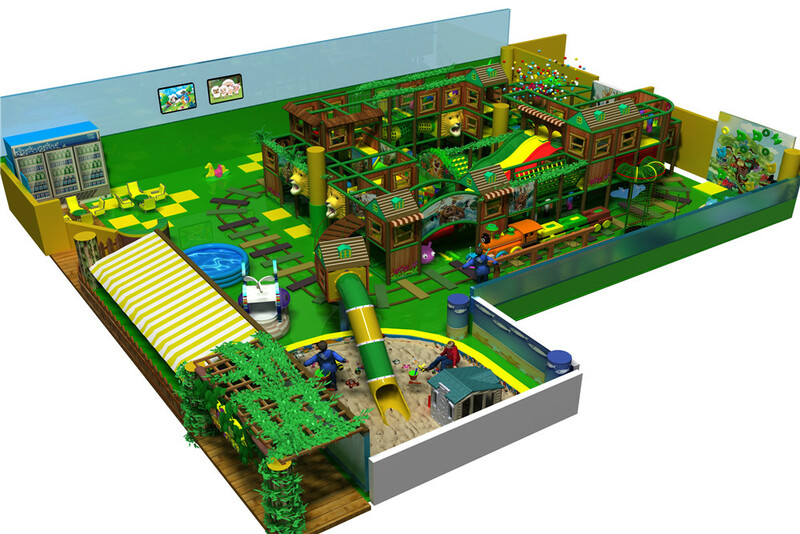 In this design have shooting game, ball pit, rope climbing tunnel, net passage tunnel and other play system. we put a unit of kids train around the whole play structures. 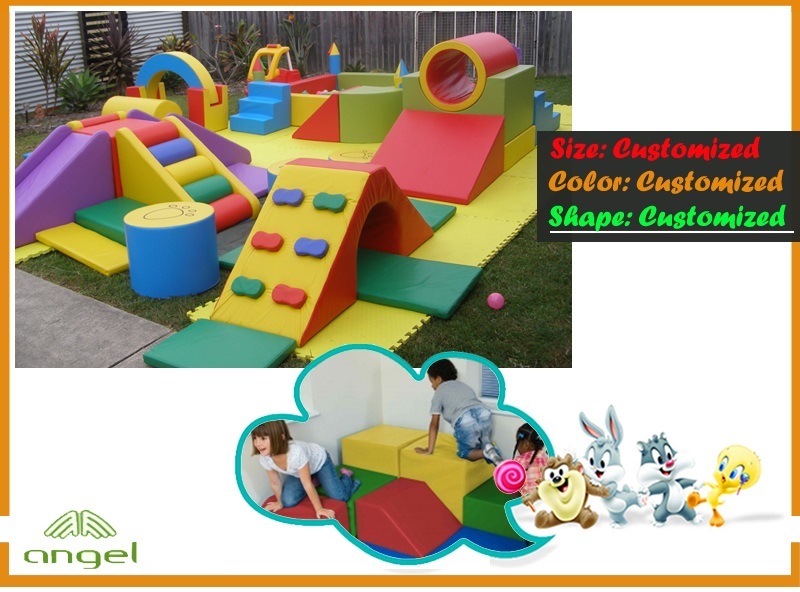 We also had make one climbing wall and one sand box which have a Tube slide to reach it. All those play events are well connected and each to reach. We set up a rest area for parents on an open area so they can watch their kids play! 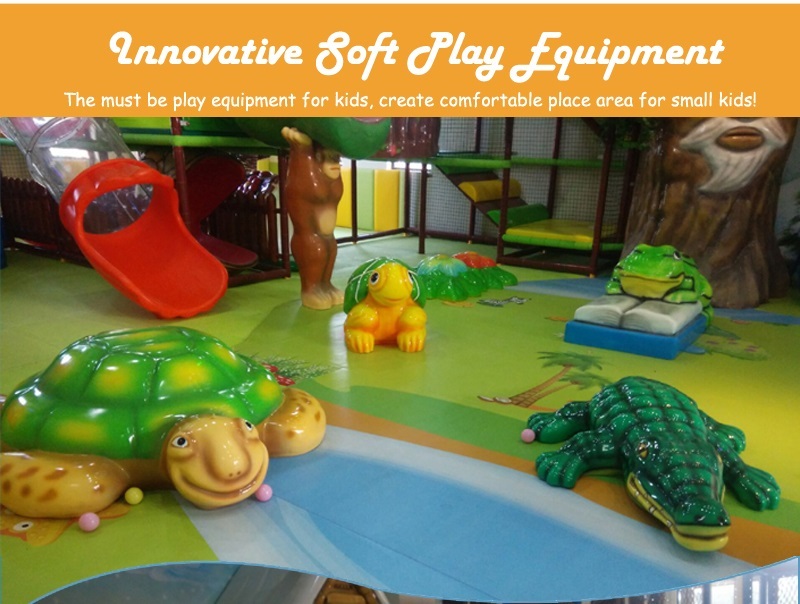 Will children be influence by their friends in the indoor playground? In the eyes of many people, parents boast absolute authority in influencing and educating kids. Children may be occasionally influenced by their friends, but for most parents, that the influence doesn't matter much. Actually the fact is that the impact of a friend might be stronger than that of parents. Examples of this kind are legion. Every year we can learn from surveys that the rate of teenage crime is on the rise, and one of the most important reasons that lead to this is that there are a large number of kids who follow the wrong example, that is, they've influenced by bad friends. And what impresses is more is that such influence usually remains a long time. 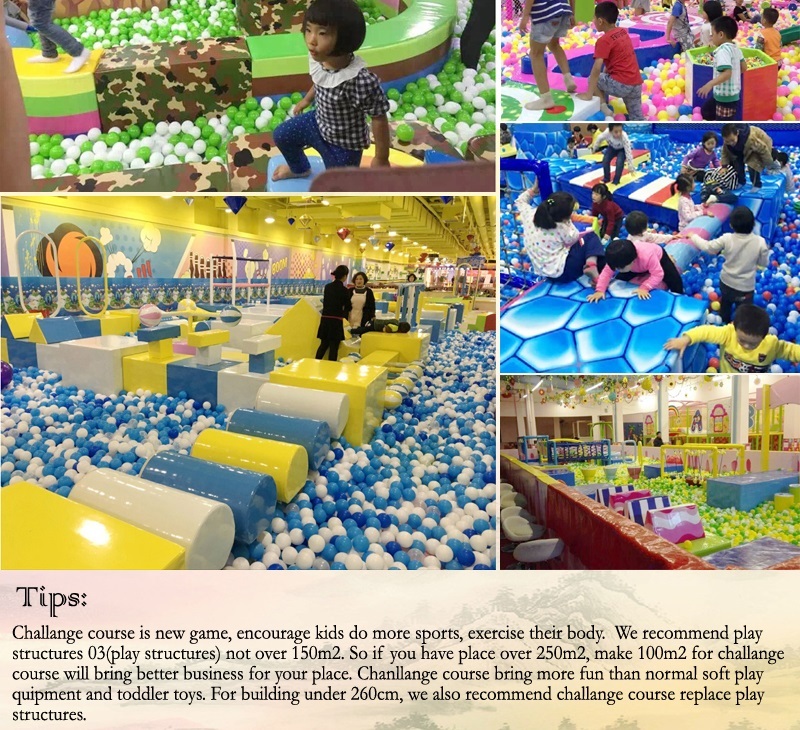 So it is not something unreasonable to say that kids will seldom be influenced by their peers in the indoor playground. For one thing, kids will be influenced by following the behavior of other children. We all know that kids are born with curiosity and they are eager to follow everything that they feel cool or new. For example, once they saw some kid jumping from somewhere high, it is very likely that they'll imitate their acting without considering the dangerous situation. Such influence is invisible but with strong effect. It is necessary for parents or managers keep an eye on the kids so that they won't do anything that would have bad influence on other kids, or younger kids will follow wrong behaviors of elder children. The education of children calls for effort from both parties. 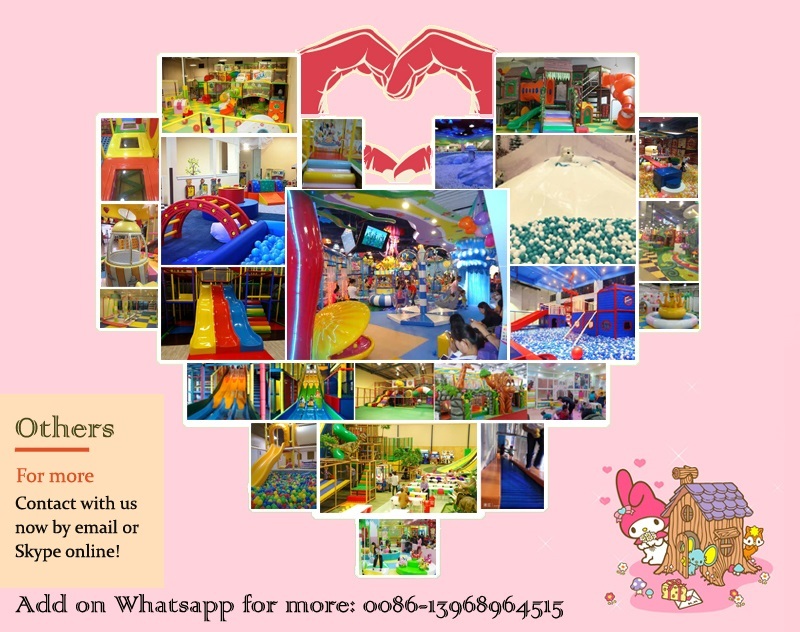 For another, children would follow other children in speaking bad words, which is also a common but very bad behavior in indoor playground. Being exposed in different environment, children are endowed with a variety of access to learn new things, but they are also provided with access to learn to speak bad words. 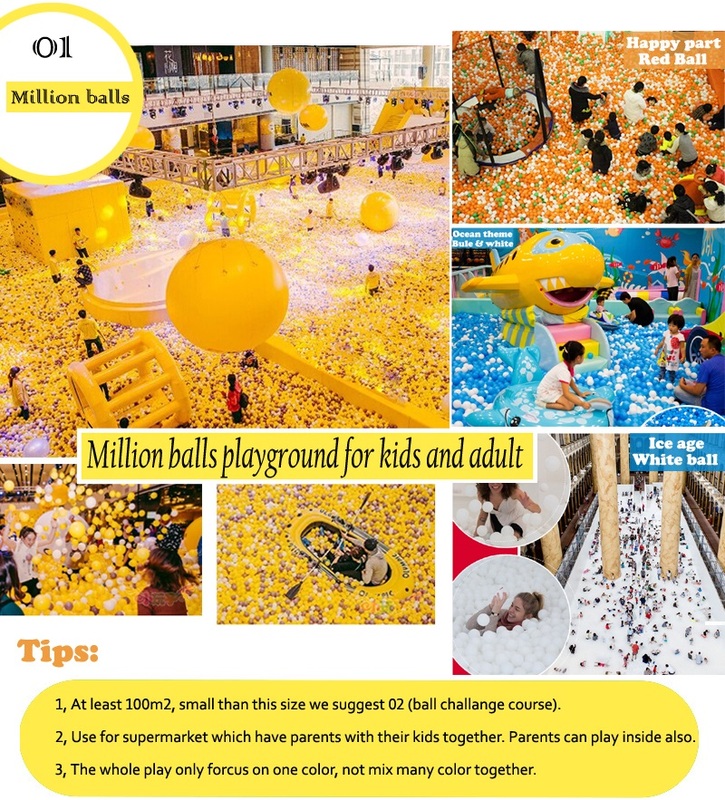 Children may learn to speak it through adults or their elder brothers or sisters; and later when they go to play in the indoor playground, they spread these bad words to other younger children. But what is lucky is that these kids are not so well aware of the meaning of these word, hence with some effort of correction, it wouldn't take too long for them to totally get rid of the habit. 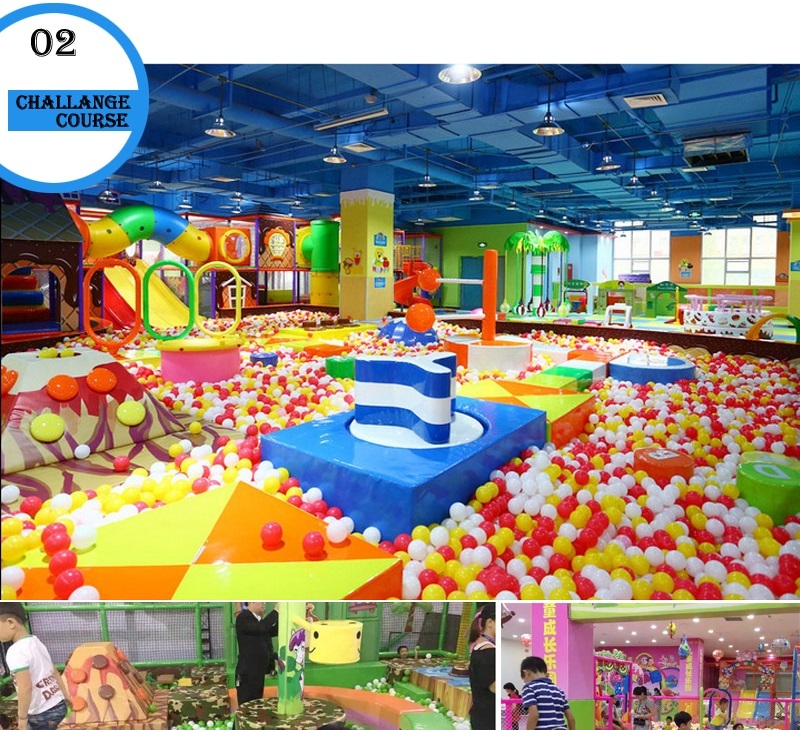 Generally speaking, the influence children may get in indoor playground is like a sword with two edges, one represents good, but another represents evil. However, if we are able to make good use of it, we can gain benefit rather than bad effect. As for children, they may be blessed with a good chance to learn right from wrong, and learn to pick up good behaviors and get rid of the bad ones. 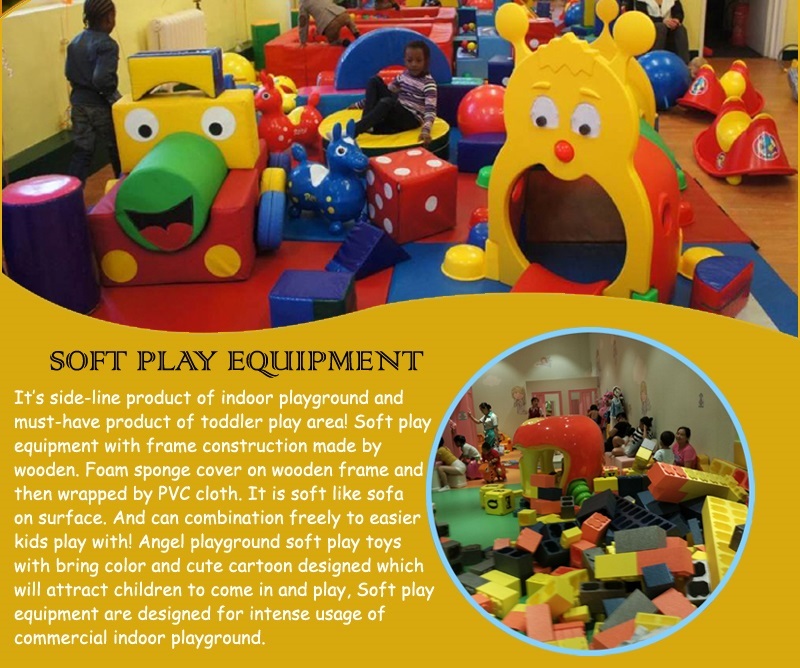 As regard of parents, indoor playground help them find out wrong doings of children and make it more efficient to correct them. 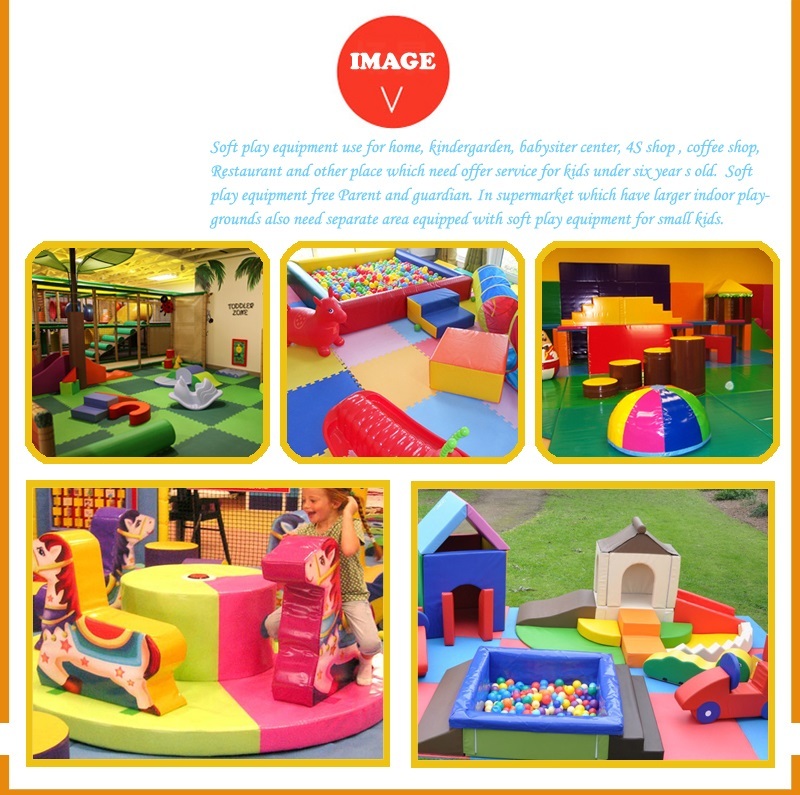 We may as well say that indoor playground is of great help to parents, especially those busy ones.